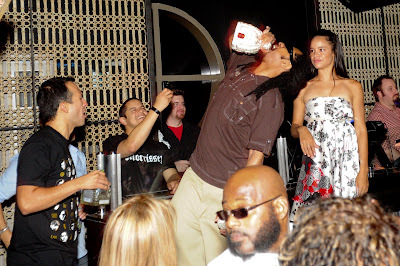 TAO GROUP BLOG TAO NIGHTCLUB LAVO NIGHTCLUB TAO BEACH LAS VEGAS: LIL JON STOPS BY VICE SUNDAYS! LIL JON SEEN HERE WITH DJ VICE AT VICE SUNDAYS! Rapper Lil Jon stopped by LAVO on sunday to see friend DJ VICE and hopped on the mic to say hello to the crowd. SHOTS! SHOTS! SHOTS! SHOTS!